Currently, in my home country, Uruguay, 16% of the population has some form of disability and 80% of these people are unemployed. On the other hand, there is a global unmet demand for tech talent that is only going to get worse. At Abstracta, it goes unsaid that we are passionate about testing. Not only that, but we’re inspired by the ways in which we have seen countless people better their lives by learning this skill and reaching a better standard of living, which ultimately helps to improve our society as a whole. For this reason, Abstracta, Integra, and INEFOP have formed a new free course, “Software Testing for People with Disabilities” so that these local individuals may insert themselves into the technology labor market, which is already known not for just having zero unemployment, but negative unemployment. Another bright, 27-year-old student commented in his testimony that he’d had a previous experience in which he obtained a job as a security guard in a private neighborhood. His duty was to call 911 in suspicious situations, therefore his condition wouldn’t affect the task. However, due to his tremors, he was fired after 20 days as he didn’t “match” the security guard persona. 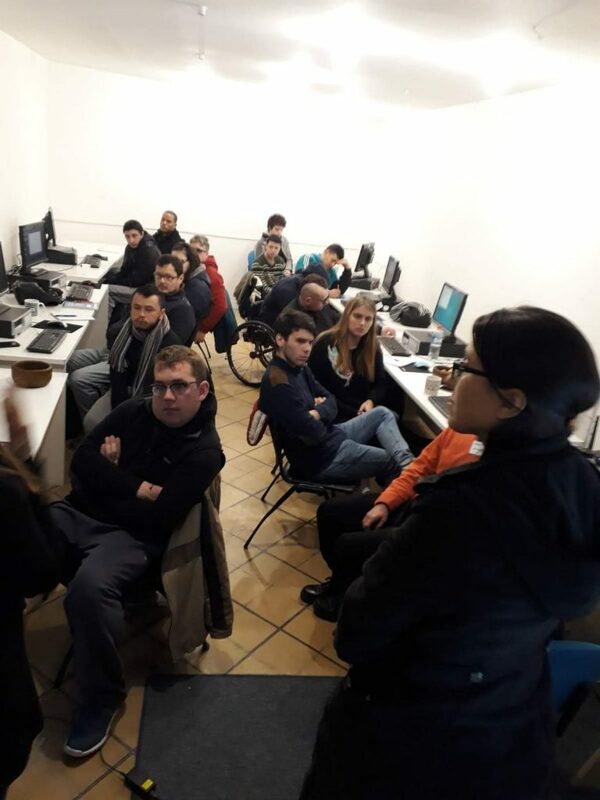 Abstracta’s role in the course is to contribute the technical content while the Integra Foundation trains the students in cross-disciplinary skills in order to facilitate the search for employment and prepare them for the working world. Software testing requires critical thinking, business knowledge and creativity (among other things) to design tests that will reveal information about the quality of a software product. The group of students is very diverse. There are individuals in wheelchairs, others with Asperger’s syndrome, schizophrenia, and some who are deaf. Some students are shyer while others are more extroverted. There are those who study more, those who ask many questions and those with a great sense of humor who make us laugh. Throughout the course, the group has gotten to know each other and complement one another. In fact, those who had more ease in learning met an extra day each week to lend a hand to those who had difficulties with a particular issue. They’ve formed a great sense of camaraderie and teamwork that’s strengthened them in order to advance and acquire the knowledge a tester needs. It’s remarkable the enthusiasm they have, being able to demonstrate how their work is of real value. Sara Martinez, an Abstracta team member and course trainer, tells how challenging it was to explain concepts to the students who are deaf. In each class, a sign language interpreter accompanied the young people to translate what was being explained. Little by little, both the trainers and the students adapted to find ways to communicate more efficiently and express the concepts so that they understand them correctly. This enriching challenge is one that companies and today’s workers will also face, as they give an opportunity to these people who want to work. Both parties must leave their comfort zones and learn to treat each other as equals, with nurturing support. 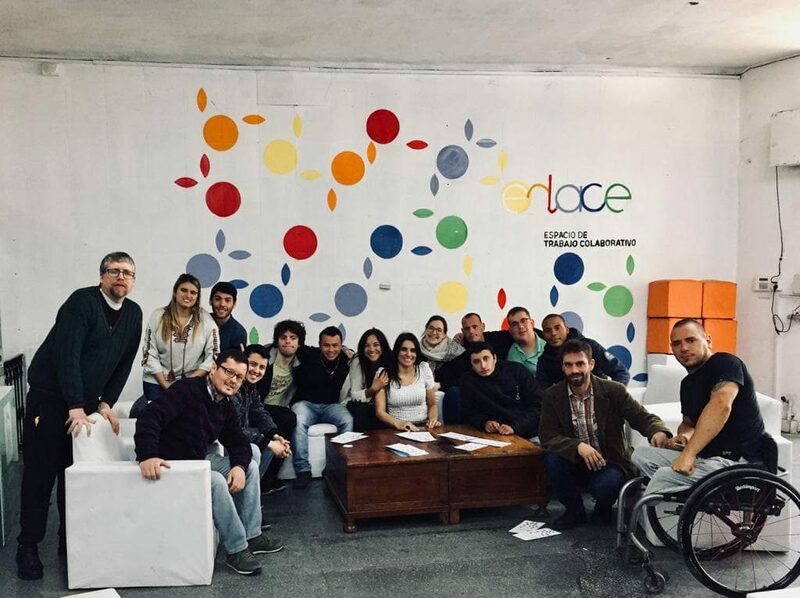 In Uruguay, a labor law for people with disabilities was recently passed. Among other things, it establishes that all private companies with more than 25 employees must cover 4% of the vacancies that arise from the effective date of the law with persons with disabilities. It also includes a period of implementation and other safeguards that protect the worker. In technology, we don’t believe in hiring anyone without making them feel productive, which is a part of what prompted us to support the project. We also see there is an aspect that contributes to the integration of this relegated population, since it’s generally accepted in tech that employees can often times perform their jobs remotely (from home). We consider this as another extremely favorable point for those people with mobility issues. 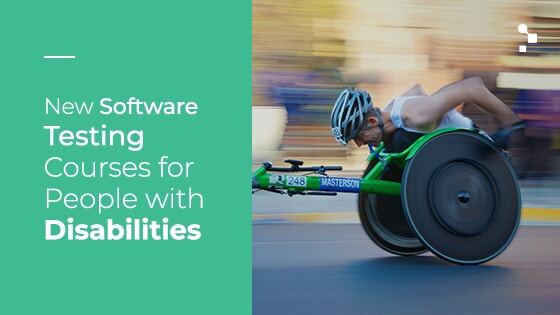 In addition to the skills that all people bring to the table, there is a very interesting opportunity for people with disabilities in the world of testing: performing accessibility tests. In these tests, the aim is to verify if a system is suitable for use by people with disabilities. In this way, the interaction of the software with people who may be suffering from, for example, visual, motor, or auditory impairments is tested. Based on the results, the necessary modifications can be made to make it more accessible. Who better to test software for ease of use for the deaf than someone who is deaf herself? We are excited to train these people to test software in certain ways that benefit others who experience the same disabilities. Because of the different ways the group goes about their day-to-day tasks, they are better prepared; having added strength to move forward, solve problems, and with immense determination. While not easy, they know they can achieve anything, it just requires taking a unique approach. We look forward to watching this program grow, and seeing how each person’s journey of integration into the tech industry unfolds. Please help us in assisting more individuals to find meaningful work by sharing this post so that it may reach relevant companies and potential students. And, feel free to contact me if you are interested in getting involved.